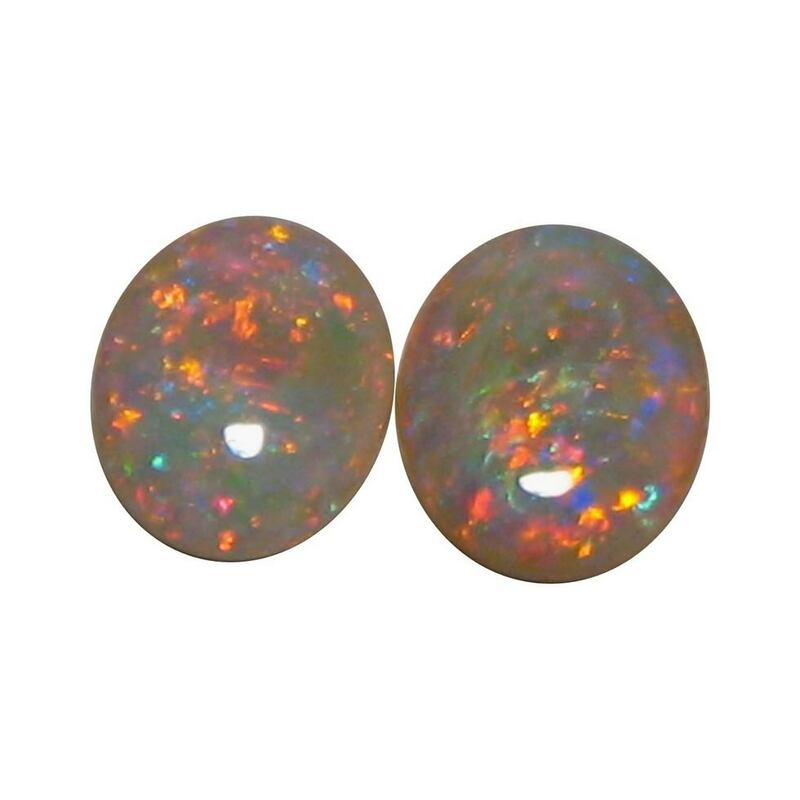 Matching pair of Crystal Opal stones with very bright fiery colors ideal for earrings. 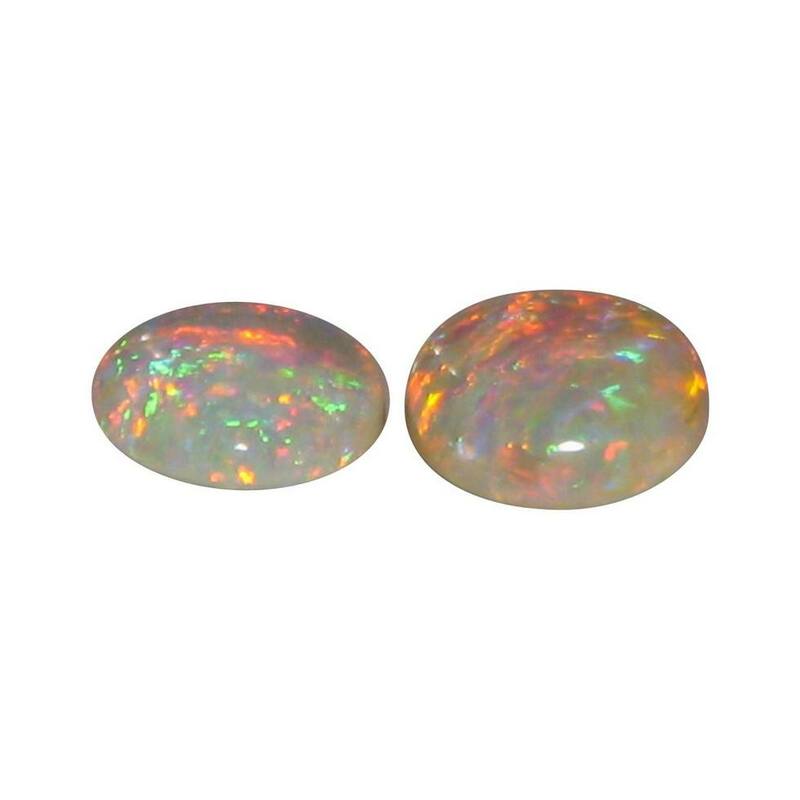 A pair of Crystal Opals that are almost identical in size and can be re cut to a perfect matching size if you like, however the difference is minimal and if used for earrings, would hardly be noticeable. 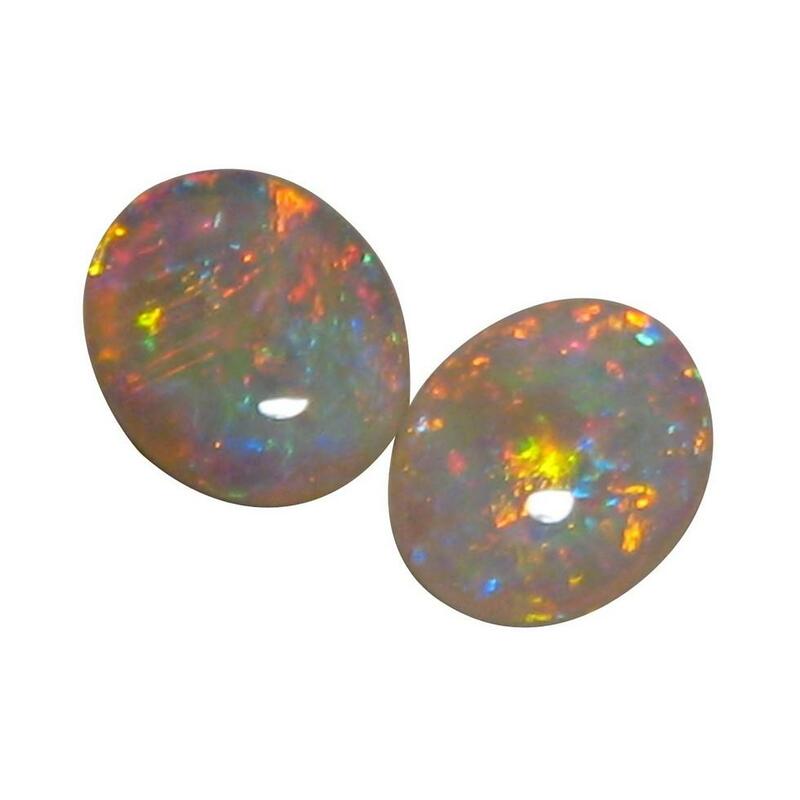 They do match in color, brightness and pattern which is not common for Opals of any kind which means this is a rare pair of loose opals. Together they have a combined weight of just over 3½ carats and the Red, Yellow and and Blue colors are vibrant and lively so will be noticed if dangling from the ear. 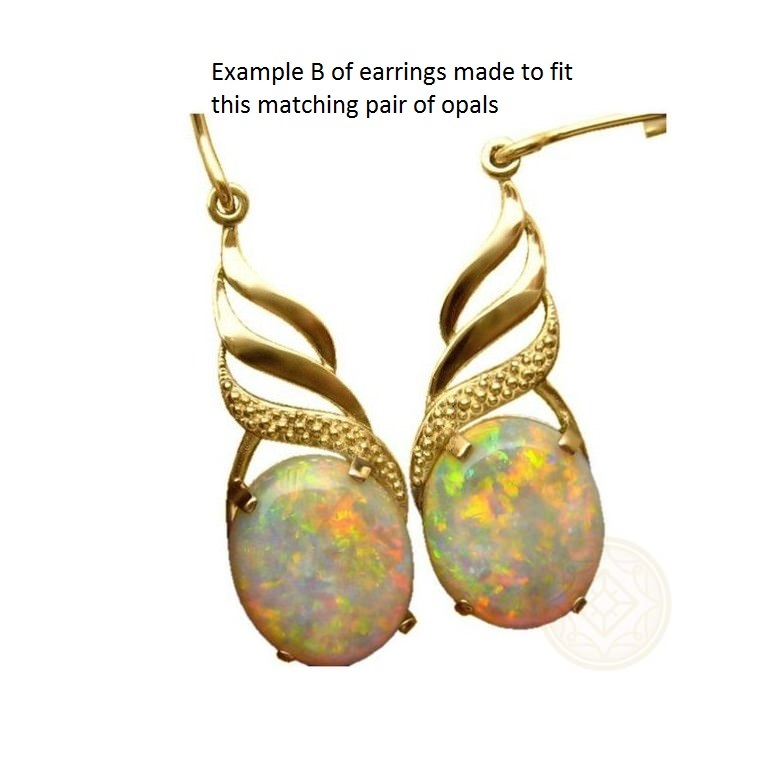 This pair of Opals can be sold as loose stones or we can set them in custom made to fit Earrings like example A or B in the images. 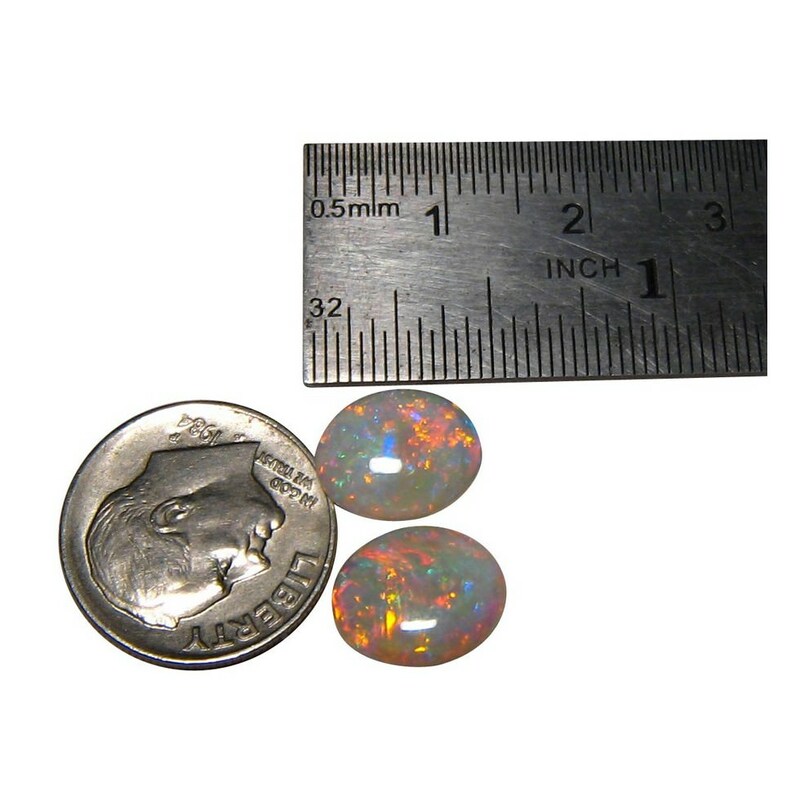 They are from a retired miners stock so please allow at least 2 business days for shipping just the Opals only. If you choose either A or B earrings custom made to fit, please allow 7-21 days for shipping depending on the style of earrings you choose. 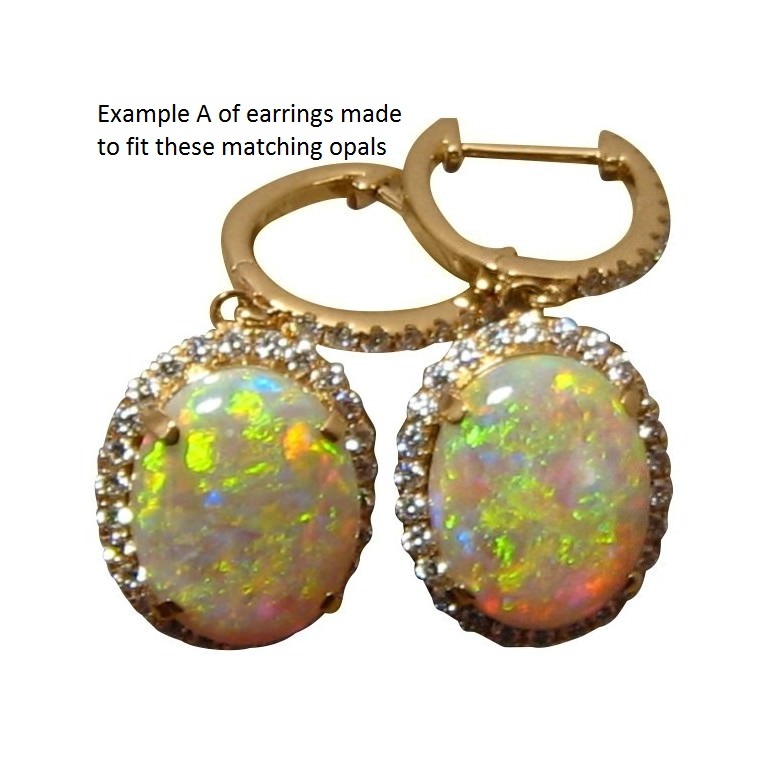 Contact through the link above if you would like a different pair of Opal earrings designed for a no obligation quote.